Prominent & Leading Manufacturer from Ahmedabad, we offer multi coloured laminated roll, polyester laminated roll and mini stretch wrap rolls. 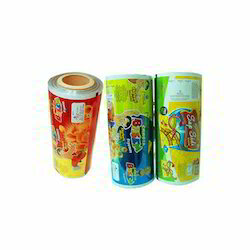 We are leading manufacturers of Multi Coloured Laminated Roll used mainly in the food industries. The material used in the Multi-Coloured Laminated Rolls is Food Grade Material. The quality of our Multi Coloured Laminated rolls is superior and at par with the industry standards. These materials are procured from reputed vendors who are in the industry for decades. These Multi Coloured Laminated Rolls have high durability and are strong enough to ensure the long shelf life of the food items inside. Also, these rolls are highly used for milk and other liquid products. We also serve many industries apart from food industries and customize the rolls as per the requirement or application of your particular industry. We offer Polyester Laminated Roll that is available in different colors, thickness, sizes, and specifications. Rotogravure process is used for printing process for a good finishing of the printed product. A good finishing of the printed polyester laminated roll is very important for the food brand that it belongs to. Therefore at Tilak Polypack, we ensure that the quality of the raw material and finishing is never compromised at any stage of the polyester laminated roll manufacturing process. Mini Stretch Wrap Rolls are applied in many areas where packaging is required. In many areas where wrapping is required for small products, mini stretch wrap rolls play a major role. These Stretch wraps or rolls can wrap small products the way it is desired. If you are looking for a stretch film dispensing system, your search ends here. Please have a look at our range of mini stretch wrap rolls here. Mini Stretch Wrap Rolls are a good alternative for strapping tapes. Being made from 100% Virgin and Food Grade Material, it can be used in the catering industry as well. Size and Thickness can be customized as per the customer’s requirement. 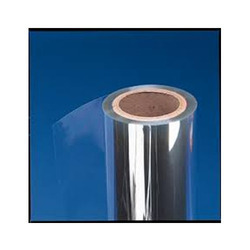 We can supply Cast Stretch Film or Blown Stretch Film.